Compatible Lexmark laser printer C734A1KG black toner with 7,000 page yield rating but so much cheaper than genuine. 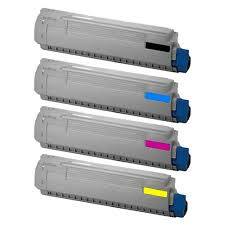 Lower your office printing costs, use a compatible toner cartridge supported by a 180 day quality assurance. Compatible for use with C734, C734dn, C734dtn, C734dw, C736, C736dn, C736dtn, X734, X734de, X736, X736de, X738, X738de, X738dte. Guaranteed quality prints at a fraction of the cost of expensive Lexmark C734, C736, X734, X736, X738 genuine cartridges. Same day dispatch to Brisbane, Melbourne, Sydney, Adelaide, Perth, Hobart, Canberra and major regional towns. Cost effective, cheaper Lexmark printing.